Interested in a chance at Mark Cavendish’s World Championship jersey? No? Well, then how about Ryder Hesjedal's 2012 Maglia Rosa—or Andy Hampsten's white jersey from the 1986 Tour de France (complete with the foie gras stain sustained during a food fight between Hampsten's La Vie Claire teammates). 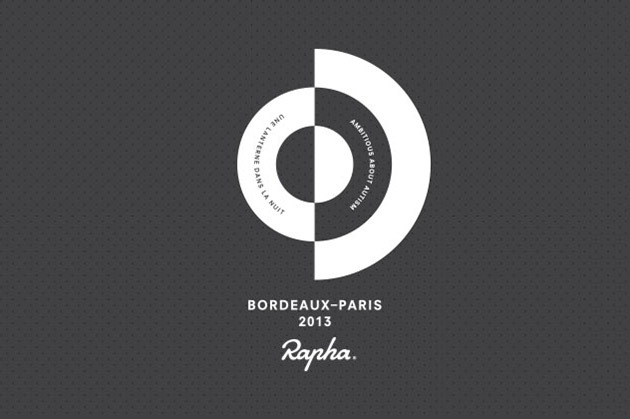 The Rapha Bordeaux-Paris 2013 Challenge is set to take place this coming Friday. Reviving a 'lost classic', the event aims to raise £250,000 for Ambitious about Autism, a cause close to the heart of Rapha founder Simon Mottram, whose son, Oscar, has autism. As part of the fundraising effort, Rapha is launching an exclusive online auction, with all proceeds going to Ambitious about Autism. The auction will be held on eBay, and will run from Tuesday 10th September (20.00 BST) to Tuesday 17th September (21.00 BST). Check out the details—and all the goodies HERE.